CCE’s new adventure in 2019 is travel! Excitement and wonder have been driving forces in planning for the months ahead. Taking our clients’ events to new heights is rewarding and exciting for us all. Couples are embracing the idea of traveling to luxury destinations to celebrate their big day, and we love exploring romantic places right along with them. 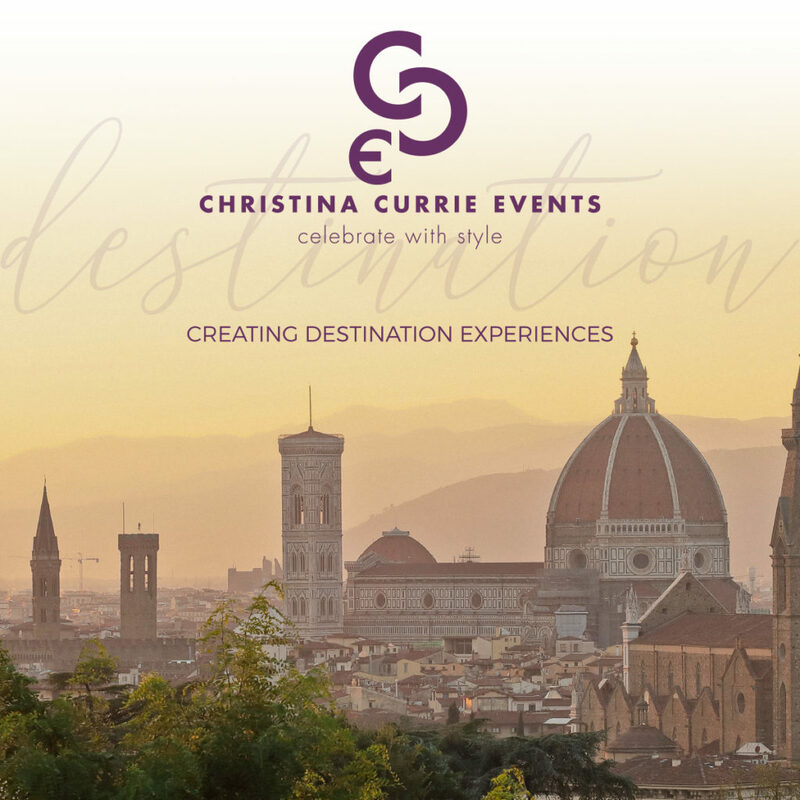 CCE’s team is overjoyed to orchestrate nuptials in the tuscan valley of Florence, Italy this September. We are establishing relationships abroad and discovering local vendors who have expertise overseas. Learning cultural differences and organizing entertainment for guests before and after the big event has been a new and crucial step in this process. Our goal is provide a stress-free and enjoyable process as our bride and groom prepare to walk down the aisle, especially when coordinating events in a foreign land. Come explore new places with CCE this year, and let us help you escape to celebrate!